If you’re a beginner coming to your first class with MAC Kenpo, you should wear loose athletic clothes that you feel comfortable moving around in. Typically students practice karate in bare feet, so you need not worry about footwear. Once you’re ready to commit to the class, you can buy a Karate suit in your local sports store or indeed you can purchase one from our club. Men must purchase athletic cups on their own and wear them to each class! Unlike most clubs MAC Kenpo does not charge a yearly membership fee. The only cost will be the cost per class payable on each night of training. The cost per person is €5, however as a bonus if there are 3 people from the same family training total cost for those 3 people is only €10. Class begins promptly at 7:30pm on Monday evenings. Students line up in straight lines by rank, facing the front and the class starts with the Kenpo Salutation being performed, just as it is performed when the class ends. Class begins with 20 – 30 minutes of warm-ups and group exercises. Students are then split into instruction groups by belt rank and work on martial arts skills, forms and techniques appropriate to their rank. At the end of class, students line up again and salute the head instructor. We bow upon entering and leaving our dojo (i.e. – the gym). What if I arrive late to class? The club expects students to arrive on time to class. If you must arrive late, you should walk to the front of the class and wait for the head instructor to acknowledge you. Once this instructor has acknowledged you and bowed to you, you may join in the class training activities. Do you actually hit each other? Will I get hurt? 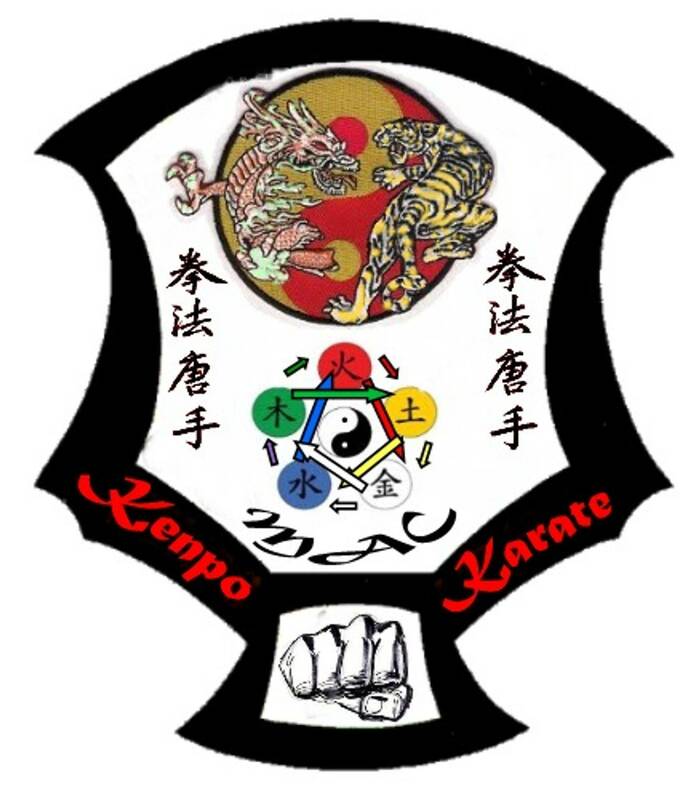 The instructors at MAC Kenpo are committed to keeping a class to an educational and safe experience for everyone. Beginning karate students are expected to make little or no contact with other students when practicing to ensure that no-one gets hurt. If ever you are uncomfortable with the level of contact in class, you can let your fellow student and/or an instructor know, and he or she will make adjustments. The level of physical contact you will make with other students will increase as you gain experience and greater levels of control over your strikes. Once you reach an intermediate level, you will be expected to make contact with fellow students in order to demonstrate that you can execute self defense techniques effectively and in a controlled manner. 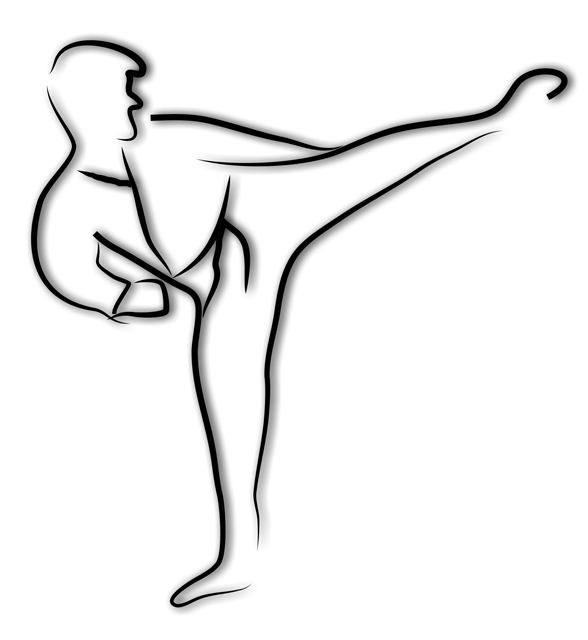 What is Kenpo? How Does It Compare to Other Martial Arts? Some martial arts are more "martial" and some are more "artistic." We like to say that Kenpo has a great blend of both. Kenpo focuses on practical self-defense techniques for attacks that might be encountered in any street situation. We practice for attacks such as a grab from behind, an arm pinned behind your back, a punch, multiple punches, a push from the front, and so on. A kenpo student learns a wide-ranging set of self defense moves in response to these attacks, which can be used and adapated in any situation. MAC Kenpo also incorporates light sparring into our training, which teaches students speed, agility, and improvisation. When students are sparring, the emphasis is not on winning or hitting hard; rather it is on learning from one another, improving skills, and making sure that no-one gets hurt in the process. In addition to the practical self defense aspect of kenpo, there is also an artistic aspect. Students learn katas (or forms) which are choreographed sequences of martial arts moves that allow for self expression and creativity. Practicing forms/katas helps students to master stances, transitions between moves, flow, timing and so on. How Fast Do Students Advance? What are the belt ranks? Student progress depends on the individual student and the amount of time and effort they devote to learning the art. Students test for and advance to a new belt rank once their instructors see that they have mastered the skills and techniques required at that level. The course is designed such that all beginners who attend regularly should receive their first belt (Red) within one quarter. The next belt (Yellow) is typically attainable in two quarters, but after that it depends on the student. The belt order is White Belt, Red Belt, Yellow Belt, Green Belt, Blue Tip, Blue Belt,Purple Belt,1st Brown , 2nd Brown, 3rd Brown and then Black Belt 1st Dan. What will I learn in the first couple classes? You will learn some really cool things in the first classes! You will learn blocks, kicks and strikes, how not to get hit by a punch, and also how to kiai, or yell at the top of your lungs. Why do people like kenpo so much? It's a great workout and keeps us fit. Yelling, hitting and kicking pads and/or fellow students in a controlled manner is an amazing stress reliever. It feels so good to finally master a difficult move or understand a technique. 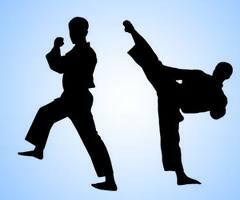 The instructors are very experienced karate teachers and really care about your training experience. You build a lot of trust when practicing karate with others, and those others often end up being great friends.